In 2017, Cincinnati audiences heard sensational performances by living legends, as well as musical rarities and world premieres. This year’s list – a baker’s dozen — highlights some musical milestones, such as Cincinnati Opera’s first opera by a woman, as well as some of my personal favorites of the past year. 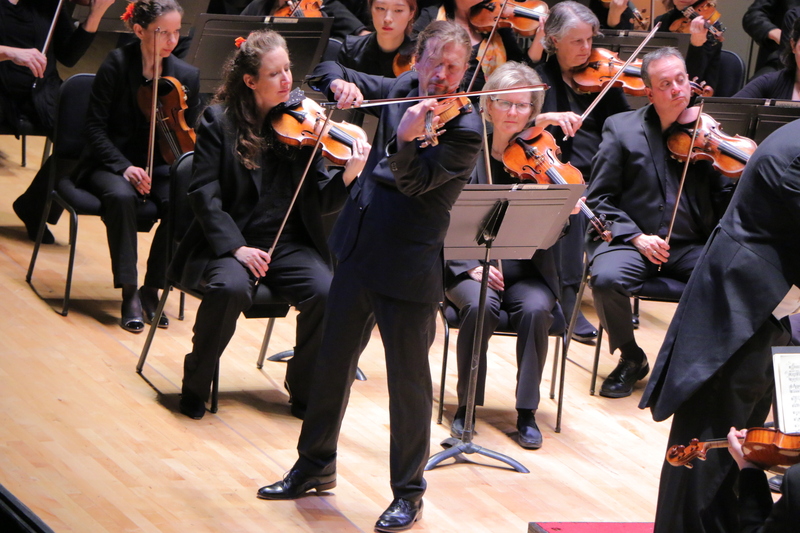 Christian Tetzlaff wowed with the CSO. Photo provided. Tetzlaff’s jaw-dropping Bartok with the CSO: In January, the phenomenal violinist Christian Tetzlaff tackled Bartok’s Violin Concerto No. 2, a test of both technique and endurance. And he did it with jaw-dropping virtuosity. The Cincinnati Symphony Orchestra program included a bracing performance of Carl Nielsen’s Symphony No. 4, “Inextinguishable” under the baton of Finnish guest conductor John Storgårds. Although it’s a century-old work, it was still both startling and entertaining to see two sets of timpani in a fierce battle to the finish. 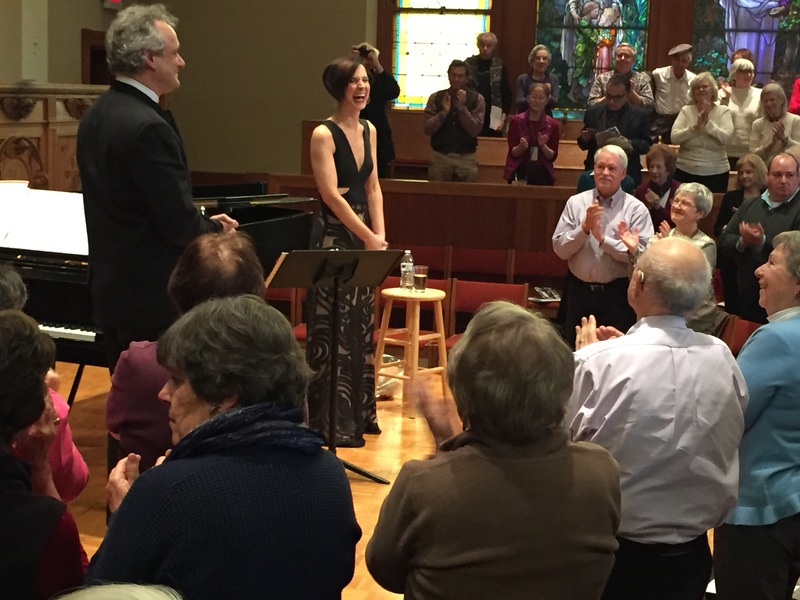 Another side of an artist: In February, Cincinnati Symphony music director Louis Langrée departed from his day job to collaborate at the piano with the excellent mezzo-soprano Kelley O’Connor in a program of French and German art song at the Linton Series. It was a beautiful recital, and reminded me of other conductor-pianists who have performed at the keyboard in concert. Kelley O’Connor, with Louis Langrée at the piano, at the Linton Series. A luminous oratorio: If there was a message to Craig Hella Johnson’s luminous new American oratorio, given its regional premiere by the Vocal Arts Ensemble at Xavier University, it was one of hope. “Considering Matthew Shepard,” told the true story of Matt, the gay young man and University of Wyoming student who was beaten, tied to a fence and left to die. Johnson’s music was alternately deeply sad, radiantly beautiful and joyous. It was mounted in March in partnership with Cincinnati Opera and staged by Omer Ben Seadia, a CCM graduate. An opera rarity: A superb cast of singers reigned over a striking new production of Mozart’s opera “Idomeneo” in in March in Patricia Corbett Theater at the University of Cincinnati College-Conservatory of Music. Besides the unusual fact that the production was staged, designed and sung by CCM students, the listener could revel in Mozart’s remarkable music. “Idomeneo” – an “opera seria” — has never been a regular in American repertory, and it was a treat to hear its lush choruses and stunning arias. Itzhak Perlman with the CSO. 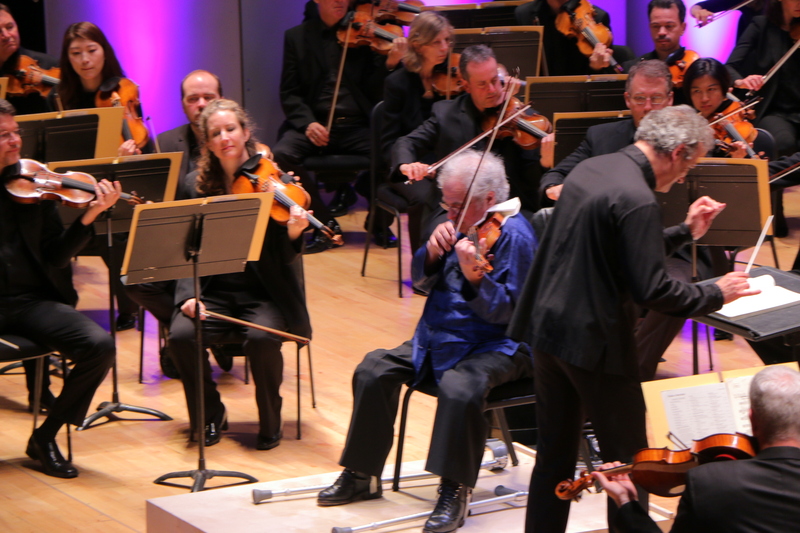 A living legend: In April, violinist Itzhak Perlman made his entrance in the Taft Theater to deafening applause and a standing ovation before he had played a note. Then, using crutches, he carefully maneuvered himself from his motorized scooter to his chair, smiled to Louis Langrée, the musicians of the Cincinnati Symphony and the packed theater, and lifted his priceless Stradivarius to play the most ravishing music you’ve ever heard in Bruch’s Violin Concerto. A monumental masterpiece: The Cincinnati May Festival revisited Edward Elgar’s “The Dream of Gerontius” for the first time since 1981. Guest conductor Michael Francis presided over the May Festival Chorus and the Cincinnati Symphony Orchestra, filling every inch of the Taft Theater’s stage. The superb performance had a dream team of soloists: Tenor Anthony Dean Griffey as the dying Gerontius, the stunning mezzo-soprano Michelle DeYoung as the Angel who escorts him into heaven and bass Matthew Brook as the Priest and Angel of the Agony. At the conclusion of the unbroken span of more than 100 minutes, the audience stood for many minutes of ovations. 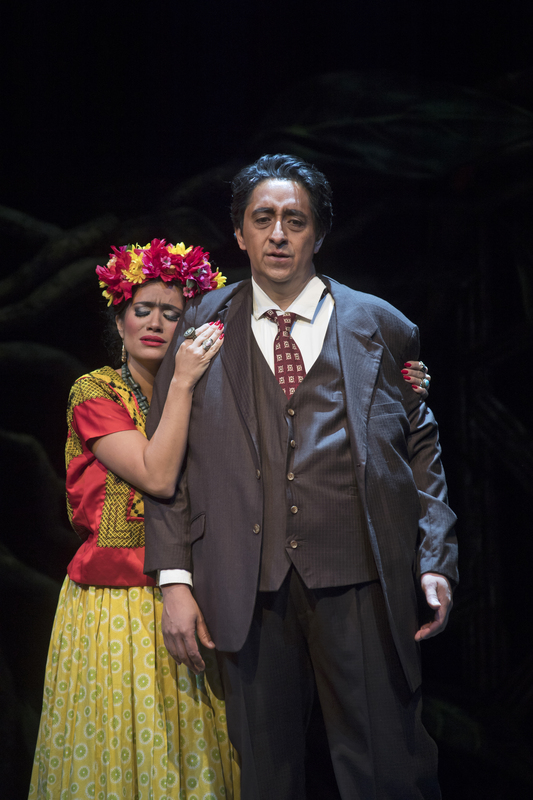 Fascinating Frida: Cincinnati Opera’s vibrant production of Robert Xavier Rodriguez’s 1991 opera “Frida,” based on the life of the Mexican painter Frida Kahlo, offered an unflinching view of the artist’s lifelong torments as well as her passions. Catalina Cuervo inhabited the role of Frida completely, from the defiant schoolgirl who joins the Mexican Communist Party to the woman who lusts for life in all of its interpretations. Ricardo Herrera’s portrayal of her husband, the muralist Diego Rivera, was larger-than-life. Rodriguez’s musical score was colored with folkloric Mexican music, jazz and sophisticated modernism. soprano Abigail Fischer), a Swiss explorer who died in a flash flood at age 27 in 1904 after a series of incredible adventures. 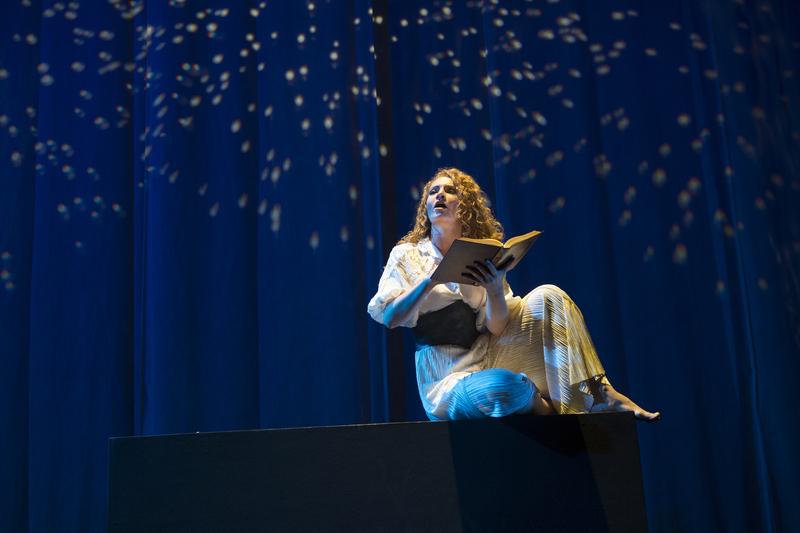 Mazzoli’s lush score was alternately sweeping or intimate, sensuous or mystical; Royce Vavrek crafted a sensuous libretto based on Isabelle’s words. The production was in collaboration with concert:nova and conducted by Keitaro Harada, CSO associate conductor. Fresh and unpredictable: In August, Eckart Preu’s first “Summermusik” season as music director of the Cincinnati Chamber Orchestra was unforgettable. The season finale featured a number by Philip Glass played to modern-dance choreography performed by MamLuft & Co., and a scintillating reading of Beethoven’s Eighth Symphony. For the centerpiece, Israeli-born pianist Alon Goldstein delivered a rewarding performance of Mozart’s Piano Concerto No. 20 in D Minor, K. 466. Paavo returns and helps “tune the hall.” Music Hall reopened in October following its $143 million renovation, and in November, music director laureate Paavo Järvi returned to lead the Cincinnati Symphony. His unique seating arrangement for the orchestra struck the best acoustical balance so far. Järvi’s energized leadership in Hindemith’s “Mathis der Maler” was just like old times. He was joined by a terrific pianist, Alice Sara Ott, the first soloist ever to perform the Grieg Piano Concerto barefoot in Music Hall. First live recording in the ‘new’ Music Hall: John Morris Russell’s American Originals show with the Cincinnati Pops wove through America’s small towns and jazz clubs where one heard ragtime, blues and cakewalks, largely composed and performed by African-American musicians. 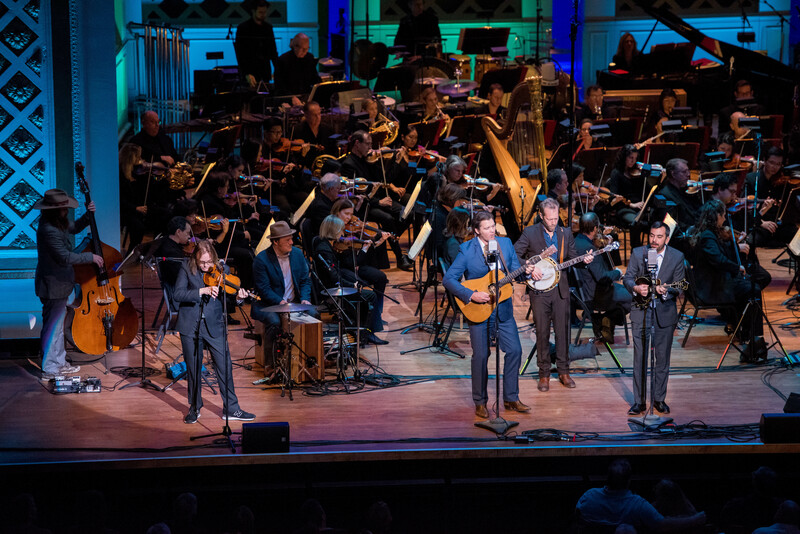 But the most electrifying music-making diverted from that theme, when the North Carolina bluegrass band Steep Canyon Rangers shook things up with “Auden’s Train” by the group’s fiddler Nicky Sanders with lyrics by their occasional sidekick Steve Martin. The show was recorded live for release next season as Vol. 2 of the Pops’ Americana project. 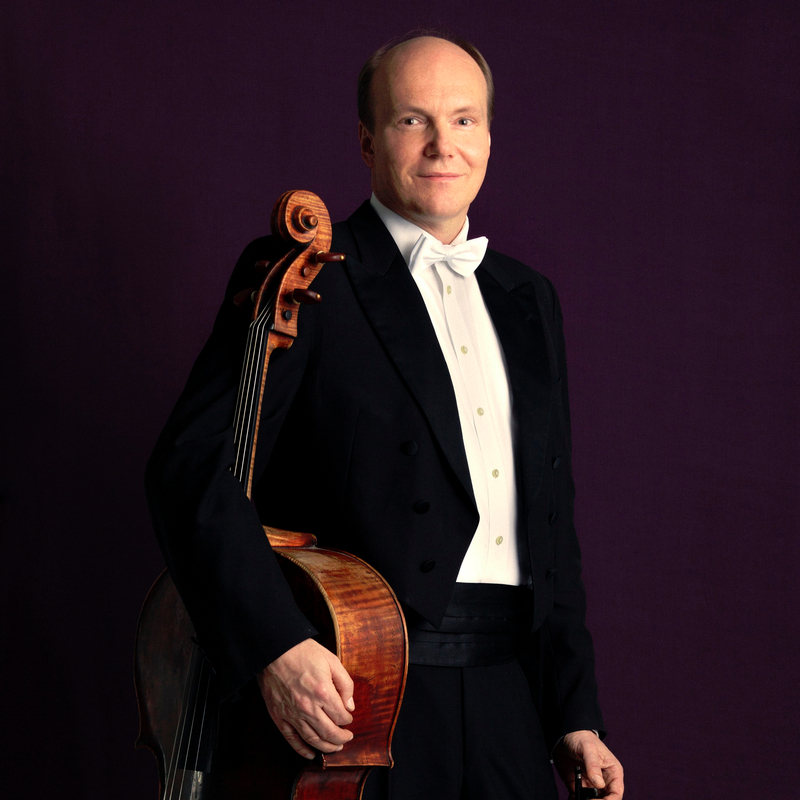 Double header: Over Thanksgiving weekend, the Norwegian cellist Truls Mørk delivered a searing performance of Shostakovich’s Concerto No. 1 in E-flat Major with Louis Langrée and the Cincinnati Symphony. The program included the world premiere of Emily Cooley’s “Abound,” the second work by a young American woman to be premiered by the orchestra that month. (The first was Julia Adolphe, whose a cappella choral work “Equinox” was premiered by the May Festival Chorus.) Langrée concluded with a rewarding reading of Tchaikovsky’s Symphony No. 6 in B Minor (Pathétique). Then – it was a thrill to hear Mørk the next day at the Linton Series in Dvorak’s Piano Trio in E Minor, Dumky. He was joined by the excellent violinist Cho-Liang Lin, who stepped in for Timothy Lees, and Michael Chertock, who performed brilliantly at the piano.